The SmartMark™ series from William Frick & Co. offers proven designs for RIFD's most difficult applications. 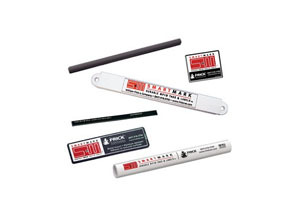 SmartMark metal mountable tags use a variety of techniques and materials to provide exceptional read ranges and reliability - even when placed directly on metal objects that interfere with radio signals. In addition to typical foam-offsets, Frick employs fully encapsulated, rubberized, domed and other designs to give you a choice when building your tags.